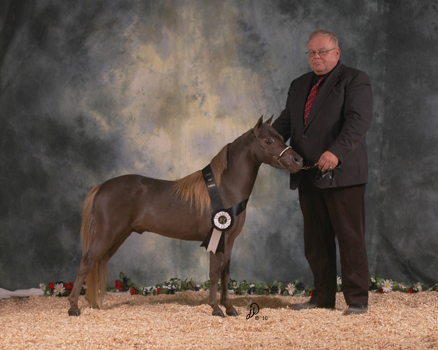 Flair is a chestnut dapple stallion with that long hooky neck, extreme elegance in his movement, and a gorgeous head. 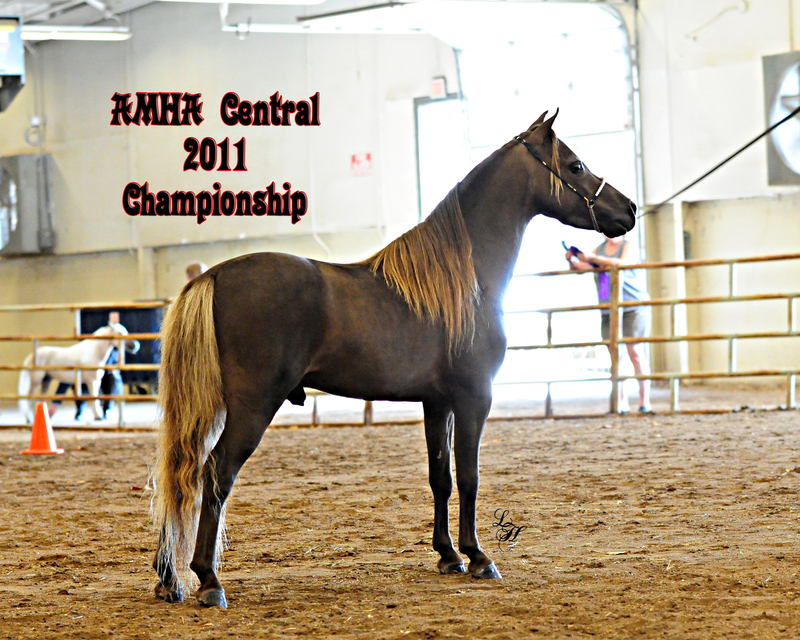 He has that fine bone that is so sought after in today’s Halter horses and he puts that same quality feature in his get no matter what style mare he is bred with. He also has a very gentle paternal attitude that comes thru loud and clear as he is the ultimate weaning buddy. 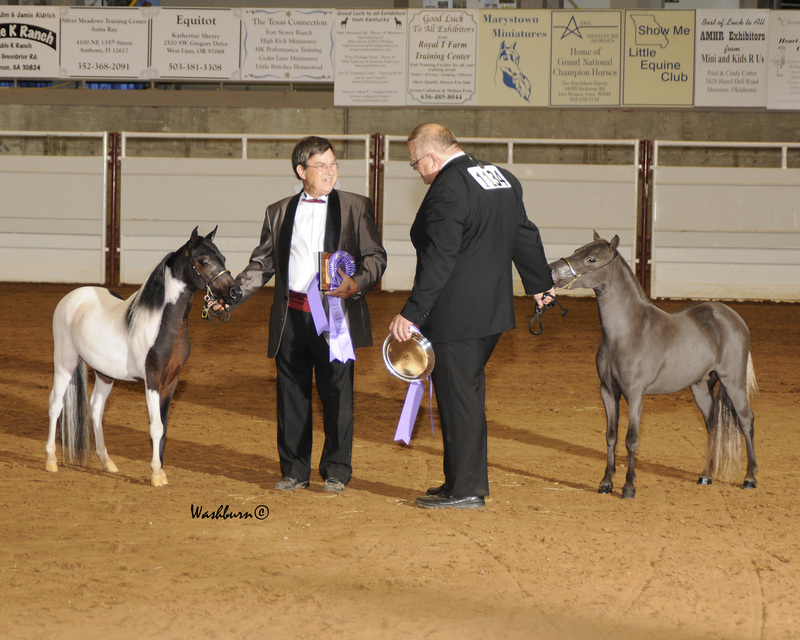 We put all the weaning colts and fillys with him after show season and they learn manners and grace from him. They run together until spring when the next show season begins. Running with the babies keeps him young at heart and in condition all winter long. “SOLD” to Jeanne Beth Murphy, Glenwood City, Wi. Thanks Jeanne!! We know he found an excellent home!! 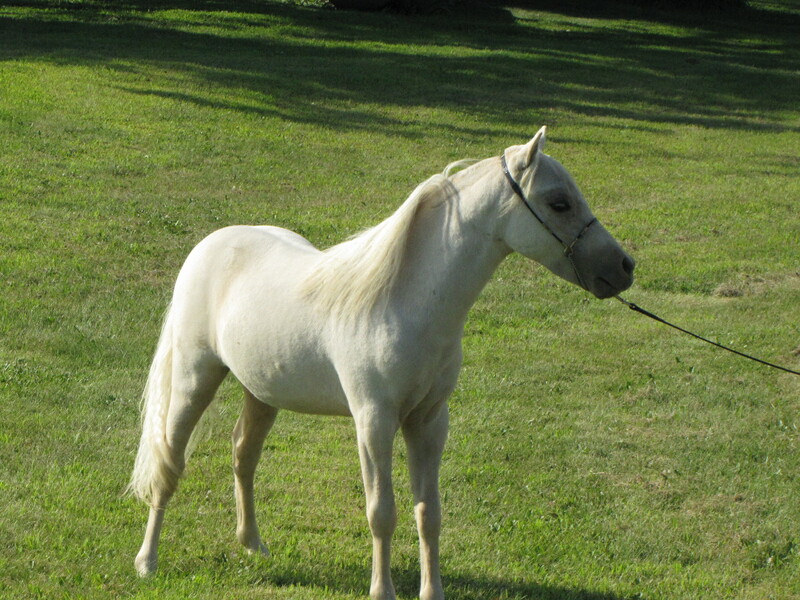 “Moon” is cute little stallion that will be shown in our 2013 show string. 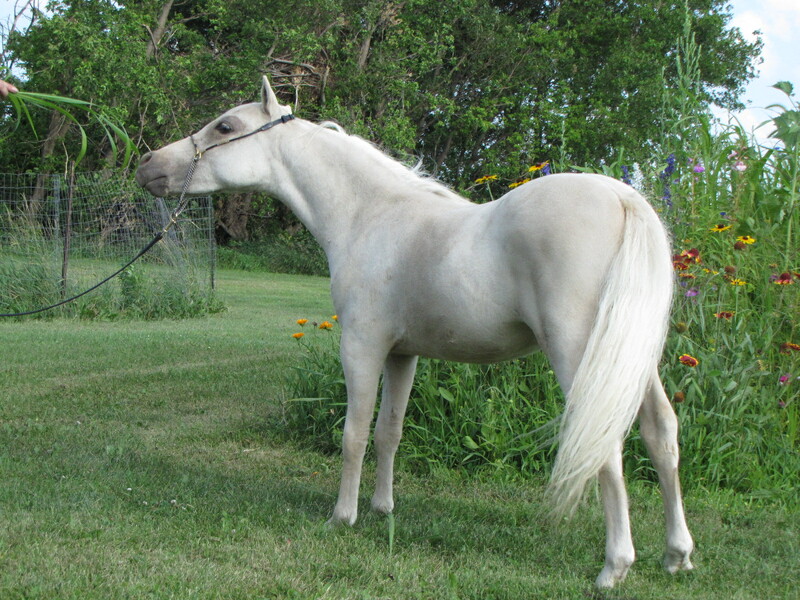 He is very upheaded and fine boned, with a great neck and flat topline. He has his daddy’s “look at me” personality and should make a real contender in both “A” and “R”. He has that natural black eyeliner that makes his eye look huge. He floats along as he trots along. 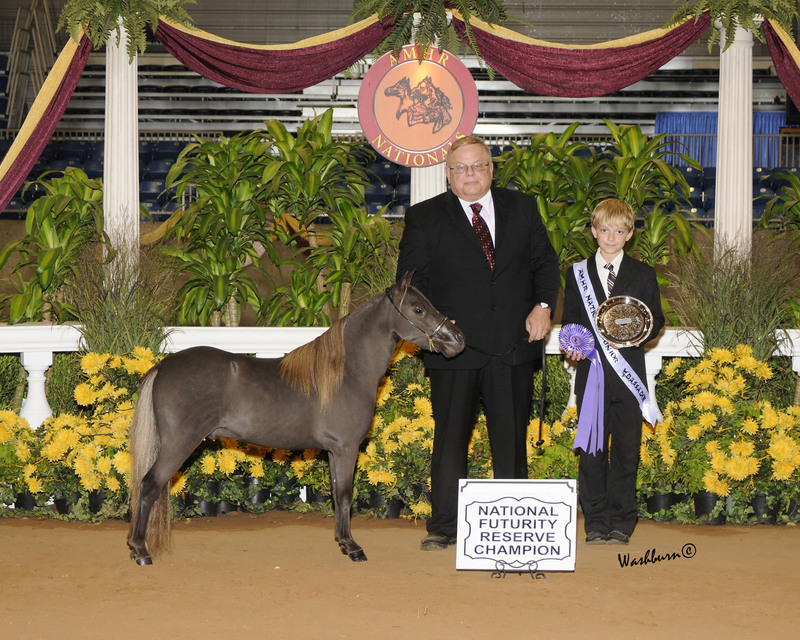 In 2012, Moon received AMHA Honor Roll Champion in Amateur Junior Stallion, Level 1. 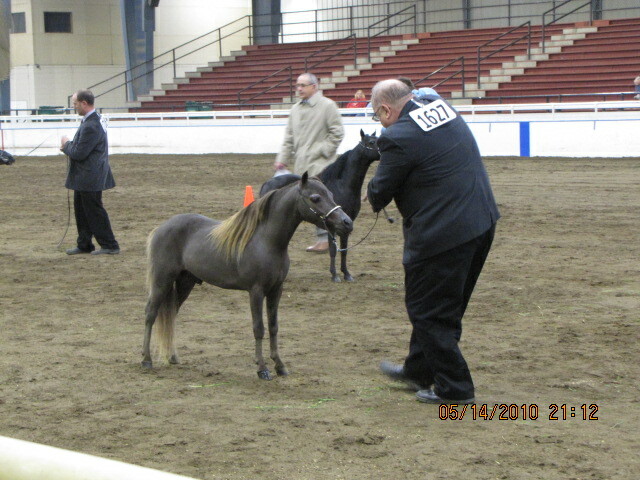 He is an outstanding little show horse. He came to us after a very long wait. We decided that this would be his mama’s last foal and she decided to carry him as long as possible. We think the wait was definitely worth it.